There are tons of programs out there that can help you make gifs but over the years the one I keep returning to due to its ease of use is LICEcap. For example, I use it to help me make gif's for this blog, for doing quick screen captures or to highlight bugs found when testing. Sometimes the easiest thing in the world can take you a while to figure out. 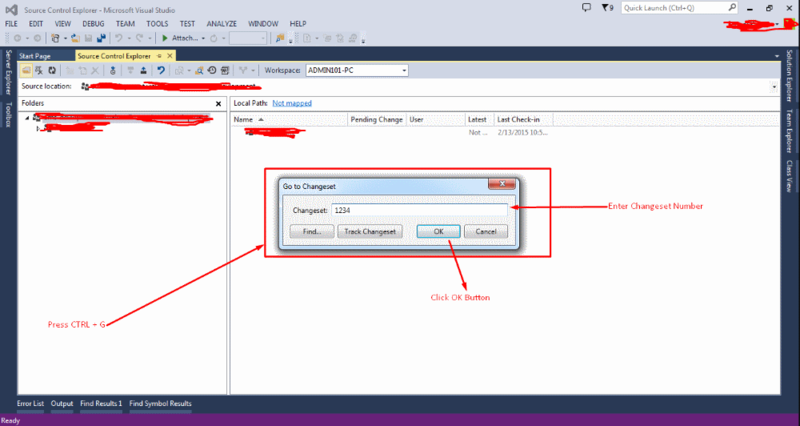 Take searching for a changeset in Visual Studio's TFS Source Explorer. Luckily if super easy to do! When you're in the Source Explorer, simply press Ctrl + G and the Find ChangeSet dialog will appear. From here you can type the changeset number and press OK.
Alternatively you can click on Find... to open up a more detailed dialog that will allow you filter by dates, by the dev who commited the changeset or by a specific file that was changed. If you're a developer chances are that you use certain key strokes daily without even thinking about it like Alt + Tab to switch between opened programs. MacOS users love using quick app launchers, like Alfred, but it's not something a lot of Windows users tend to know about or use. When working on a large project where a single file could have hundreds or thousands of lines of code it can be useful to quickly jump from one method to the next in the current document you have open. I love Visual Studio Code but even the dark mode can be a bit drab and boring looking. Luckiliy there are tons of amazing themes you can install to really personalise it. One of the first things I do when setting up my Visual Studio environment is to set up pinned tabs so they display on a new line. It helps to visually separate out your tabs and gives your unpinned tabs more screen real estate which can only be a good thing when working in large environments where you'd have 30-40+ tabs opened at a time. Today's tip is an easy one to use and a very handy tip for quickly opening the command prompt to the location you're currently in on Windows Explorer. All you have to do is type 'cmd' into the Windows Explorer address bar and it will open the command prompt for you with the path already prefilled in. If you're sick of manually updating your Windows programs it turns out that there's a package manager that can automate it all for you: https://chocolatey.org - and best of all, it comes with silent installations! No more "next, next, finish". Sometimes it's the little things that make a developer's life just that bit easier. 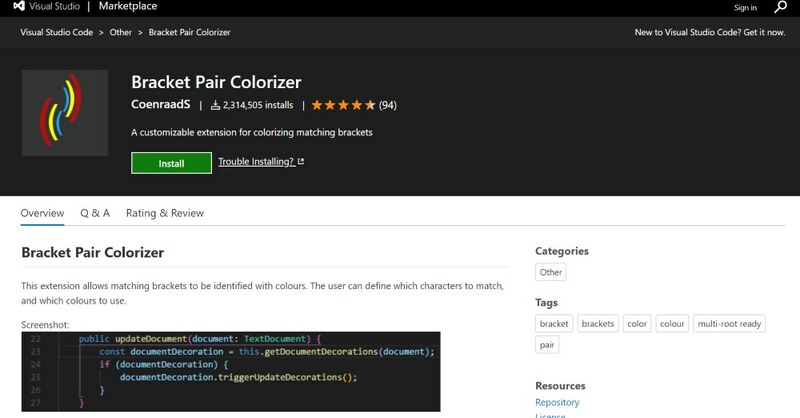 Like this handy little Visual Studio Code plugin that will colorize your brackets to help make it easier to see what's contained within them!